Word of this popular confectionery spread to other women’s colleges. For example, Wellesley and Smith have their own versions of a fudge recipe dating from the late 19th or early 20th century. 1872 It was reported to have rained black worms in Bucharest, Rumania. 1948 Bread rationing ends in Britain. 1993 Vincent Schaefer died. A U.S. research chemist, he invented ‘cloud seeding’ with dry ice to cause rain or snow. 2008 Governor Arnold Schwarzenegger signed legislation that will ban trans fats in restaurants and retail food establishments. The ban goes into effect on January 1, 2010. California is the first state to ban trans fats in restaurants. There are several cities that have banned them, and California and Oregon have previously banned trans fats in school meals. 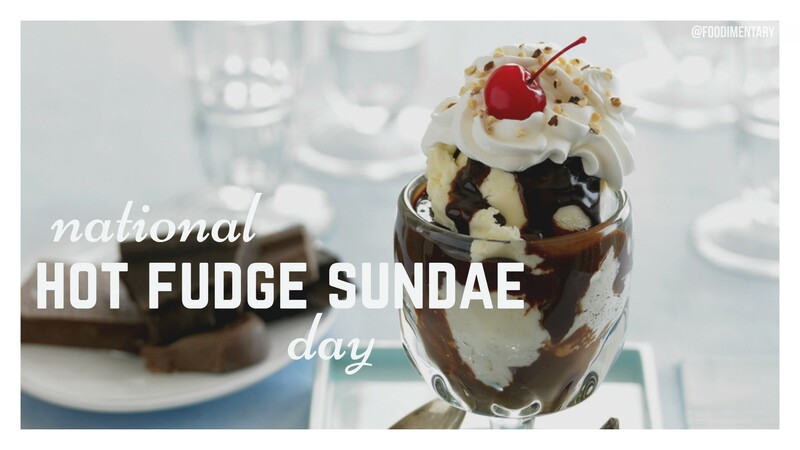 My grandfather (who was born in 1899) traveled the world looking for the best hot fudge sundae. He had very particular standards and I regret that I didn’t write down his favorites. I do know that one was somewhere in Italy, and the other was in New York state.